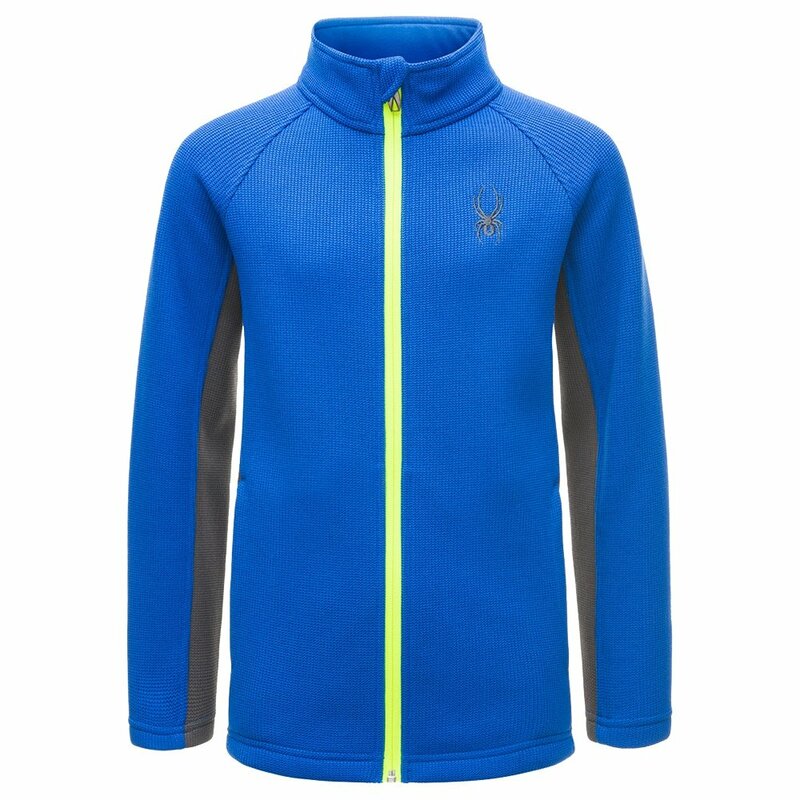 When things get a little cooler – keep them toasty in the Spyder Constant Full Zip Stryke Jacket. Made from a lightweight polyester knit, this jacket naturally helps keep them warm while still helping with moisture control. The brushed microfiber inner collar adds some warmth against their neck and the zippered hand pockets are perfect for storing essentials or warming up after a run down the slope.